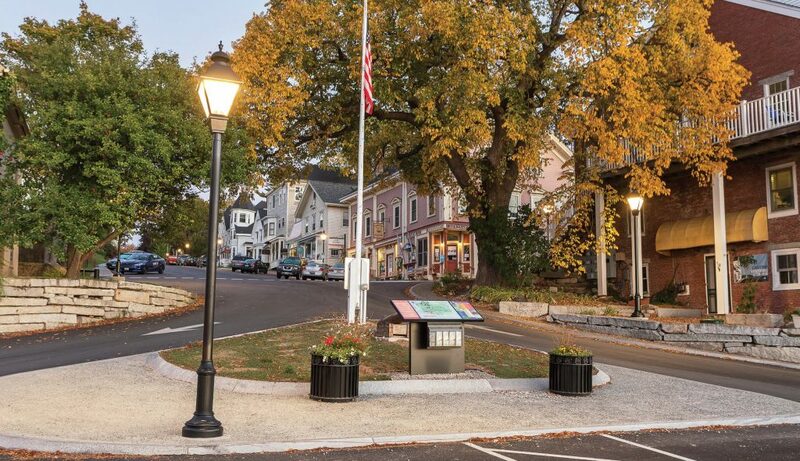 Founded in 1613 by Claude de Saint-Etienne de la Tour as a small trading post, the community of Castine, Maine, is one of the oldest towns in New England. Not only does this coastal enclave of 1,300 predate the Plymouth Colony by seven years, but it also boasts a connection to the Tarrantine — Penobscot — tribe, has been under four imperial flags in as many centuries and, until 1941, was home to the worst naval disaster in American history. 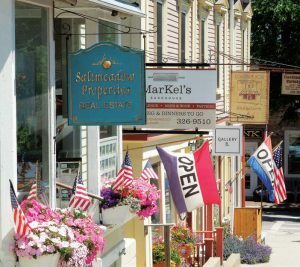 With it’s deep historic roots and its unique ties to the British, French, Dutch and Native American population, it’s no surprise that this pristine village relies heavily on cultural tourism for its economic viability. Rockport and Portland for every tourist dollar. 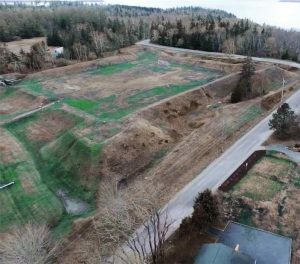 Goodson said Castine is located at the end of a 17-mile stretch of land off U.S.
Highway 1, and if you find yourself passing through, chances are you were looking for it. “We do a lot of advertising and we are on the National Register of Historic Places, which helps, but we do a lot of work to control the viewscape, maintain our landmarks and offer visitors plenty to see and do while they are here,” he said. Guests looking for a family-friendly place to explore will find no shortage of events and attractions to enjoy. No matter if you are hoping to take a peek into the past, seeking water-related recreation, looking to shop or interested in interactive exhibits and festivals, Castine has something for everyone. “We only have three inns so a lot of people come in for a day trip and end up staying in Bar Harbor. They take advantage of the local fare, the galleries and shops while getting out of the gridlock that tends to occur around larger tourist towns,” Goodson said. 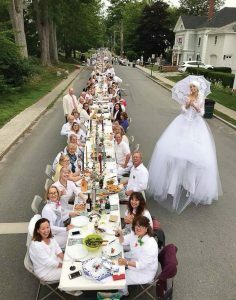 In addition to the scenic views, historic attractions, shopping and recreation, one of the highlights of the summer season is the annual Bastille Day celebration that not only showcases the community’s French connection, but also features a lecture series, cooking demonstrations, live music, tours and culminates in a communal meal, which is held on the Town Common. “It’s the centerpiece of the entire celebration,” Goodson said. “Merchants prepare meals that can be purchased or you can bring your own but everyone is seated at one table. 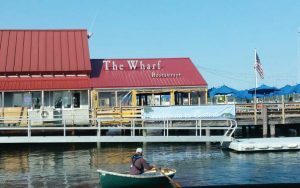 Of course no town can survive on the summer season alone, and when the tourists head out at the end of August, the community is infused with students attending the Maine Maritime Academy, which helps to make up for lost tourist revenue. Goodson said local businesses have worked hard to transition their areas of commerce to accommodate two very different types of customer and are always on the lookout to expand and explore new ideas. The community and economic development committee works hard to advance the financial prosperity of the town, its businesses and its residents, and it works with a number of partners to create a balanced environment that creates jobs, assists business owners, contributes to revitalization efforts and promotes the development of a skilled workforce. Goodson said the town of Castine is the kind of place where kids can still hop on their bikes and roam the village, where neighbors feel more like family and where 3,000 visitors from all over the world come each year to experience the best Maine has to offer. Located in Hancock County and situated on the Penobscot Bay, Castine was founded in 1613 and incorporated in 1796. It is a community of 1,300 people spread out over 7.78 land miles. Over its 400-year history, Castine has been under British, French and Dutch control before becoming part of the United States. It featured prominently in the American Revolution, the War of 1812 and the Civil War and, until 1941, was home to the largest naval disaster in American history.